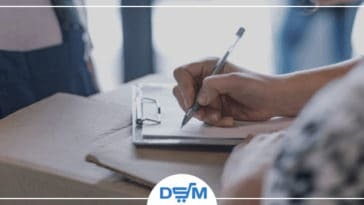 Anyone who is in the drop shipping business is always looking for techniques to improve their revenue. While there are many opportunities that allow drop shippers to earn extra from their business, many drop shippers look at the cash back avenue. In this post, we are going to cover cashback, cashback websites, and how drop shippers can earn potential cash with these websites. What is cash back? How does it work? Before getting deeper into cashback websites, it is important to understand first what is cash back? Cashback or cash back shopping is a program that gives you money back on almost every purchase you make on your normal daily shopping. Jack Pitman is an experienced eBay seller. He makes use of the drop shipping methodology. In his video regarding cash backs, he cites an example to further explain what is cashback and how cash-backs work. From Jack Pitman’s example, we can derive what are cashback websites. 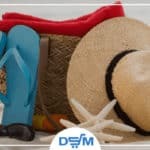 These websites have a list of retailers that they are affiliated or connected with like Walmart, Amazon, or eBay. As you shop through cashback websites and make a purchase from the retailer of your choice, you are entitled to a cash return. These retailers pay cashback websites a certain percentage for sending customers to them. In return, the cashback website shares the percentage received to the customer who made a purchase. Everything starts with Google. Do a Google search using these search terms: Retailer name + cashback websites. Example: Walmart cashback websites (as shown in the screenshot below). Google will give you a whole bunch of results. Naturally, you will want to check the first one. In this example, we checked on the top result from cashbackholic.com. 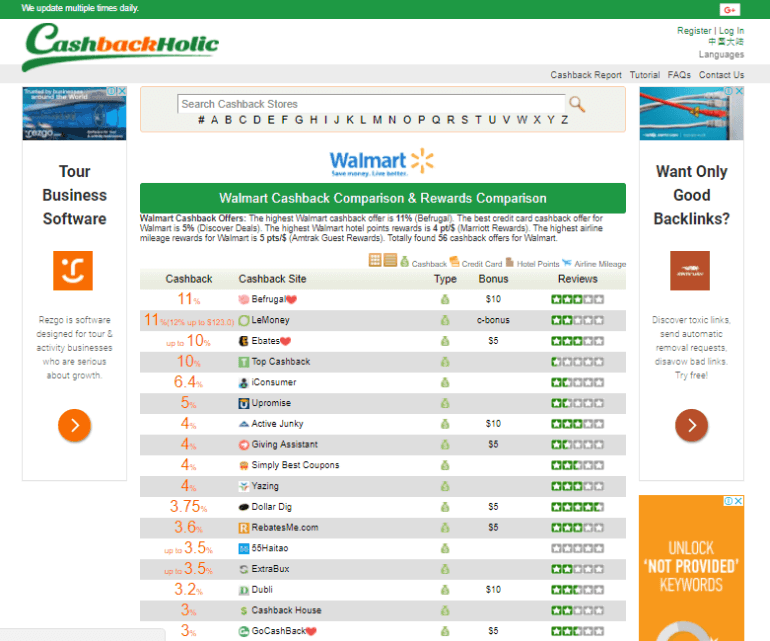 Cashbackholic provides a list of various cashback websites affiliated with Walmart. You don’t need to search individually for cashback websites because it is all provided to you in one place. Tip: Do not pay attention to reviews. While reviews are good for other matters, it is not good in the case of cash backs. The cashback arena is saturated with people who “count their chickens before they hatch”, they expect too much without further understanding the way the program works. The best thing to do is to get the opinion of those who have tried them already. Obviously, Jack Pitman has tried earning from cash backs. His favorite cashback websites are Upromise and TopCashback which shows 1.5 stars at cashbackholic.com. Regardless, these websites have paid Jack a total of $4,000 already despite the low score in reviews. Here are some great cashback websites with special benefits to you, our readers! How can drop shippers earn extra money from cashback websites? Hey, be happy! You can actually earn from cashback websites while managing your dropshipping business. Read on! At this point, if you are a drop shipper, you may already have an idea on how to earn extra money through cash backs. Nonetheless, if you are new to drop shipping here is how you can earn something extra while doing the business. The drop shipping module allows you to resell items that are owned by a manufacturer or items that are sourced from another e-commerce site. You resell these items by listing and promoting these on your eBay store. Once you have an order, you get the item from your source through cashback websites. Doing this, you will earn two ways. Let’s say that you are sourcing exercise bikes from Walmart to resell in your online or eBay store. When you have an order on one of these bikes, you earn extra by using a cashback website to purchase the item from Walmart. Let’s say your choice of cashback website affiliated with Walmart is TopCashback.com. So here are the steps you can make assuming that you already joined TopCashback. Login to your TopCashback account. Walmart.com will open in a new tab. Make a purchase of your customer’s choice of bikes. Then check out by using your choice of payment. You will receive an email from TopCashback telling you that your purchase is pending in your account. 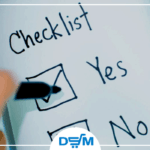 You earn a certain markup from selling through your dropshipping business. You earn a certain percentage when you make a purchase through the cashback website. Use a website like cashbackholic. Websites like this will provide a list of cashback websites to explore and use instead of relying on one specific cashback site. Your cart has to be empty. Make sure that your cart in the retailers’ website is empty when you start making a purchase through cashback websites. That helps cashback work best. No Ad Blocker in your browser. Adblock basically blocks cookies. We don’t want that to happen because cash backs communicate with retailers through cookies. Clear Cookies. Clearing cookies have something to do with making sure your cashback is being tracked properly. Before making a transaction on the retailers’ website, it is recommended to clear all cookies related to the website. So if you’re going to shop at Walmart, then go to your browser settings and clear all walmart.com related cookies. Do the same for the cashback website. Check out the video below on how to clear cookies for specific websites. Note: You don’t have to clear your cookies every time. If you have cleared your cookies before your first transaction, then you don’t have to clear them on the next. Clearing cookies will fix most cash back issues unless it has something to do with the website that is out of your control or handle. Retailers determine the cashback you receive. There’s a common misconception that cashback websites determine the cashback you receive when in reality it is the retailer who either honors or refuses the cashback transaction. Percentages you receive. There are variances in cash backs. Depending on the retailer and the cashback website, it might give you everything out of the percentage, or just a very small amount. Seasonal fluctuations in percentages. There are cashback websites that pass on the seasonal fluctuations from the retailers’ side. One good example is TopCashback, their percentages can change from 3%-4% to as high as 10% depending on the season. Giftcards. The use of gift cards can sometimes cause complications with cashback. Gift cards allow you to purchase items on the retailers’ site using the credits you have on the gift card. These cards allow you some kind of savings and discount of some sort. Nonetheless, there are some retailers who don’t allow you to get cash backs with purchases you made with gift cards. It can take up to 90 days to get that percentage back. The cash back will show up in your account as “Pending” or “Outstanding”. It will remain in the pending status for about 90 days, depending on the situation. Money on “Pending” Status. Do not expect money on “pending” status to be your exact payout. Money on pending status means that the retailer has not yet given the cashback website the percentage in the sale. Return Period. The retailer does not automatically transfer the percentage not until the return period has passed. This is to make sure that there are no issues with the transaction. After the return period, the retailer will either approve or decline the transaction. Any money on pending status can be declined so it is not yet sure money. Cashback Stacking – Does it work? Some people think that cashback stacking actually works. In reality, it doesn’t work at all. Let’s find out why. Cashback stacking is when you try to get multiple cashback websites to claim the same order. Let’s go back to the example of purchasing an exercise bike. So when purchasing the item, you enter multiple cashback websites like TopCashback, Giving Assistant, Upromise, and etc to make the same exact order of exercise bike. At first, it will seem to look like it is working because the cashback websites will take notice of the transaction and let it through. However, when it comes time for the retailer to approve the claim for cashback, it will only approve one of the many transactions you have made and quite possibly, even none. The cashback stacking process or technique is not in anyway legal and therefore it is NOT recommended for drop shippers doing their business in good faith. So if you want to do your business right, do not try the cashback stacking system. For everything that’s been discussed in this post, we owe it all to Jack Pitman who graciously shared his knowledge and expertise in cashback shopping. As a drop shipper, use this knowledge to your advantage and add up some more earnings to your already profitable business. Check out his YouTube channel for more interesting topics on dropshipping.